This entry has no spiritual significance, its just an opinion editorial. Can we put an end to the phrase “out of the box?” or at least come up with a better way of expressing it? Russel Brand hosted SNL this past week and he made a great joke. He said “You should know that I’m much more famous in England than I am here…I take no pleasure in telling you that; it’s embarrassing! Fame really looses it’s edge if you have to tell someone that you have it.” Telling someone you’re creative in a profoundly uncreative way really takes the edge off of your creativity. So the next time you’re thinking of saying “I like to think outside of the box.” instead you should demonstrate that you’re creative; we need to see this ‘free thinking’ that you’re talking about. We got out of the box decades ago and it created new problems – now it might be time for something more revolutionary – more difficult; you may actually have to get back in the box to solve this next part. You’ve already changed your perspective, now you might need to change you. When people say think “out of the box” they often mean “ignore the parameters” which sounds great until you wake up the next morning and realize the parameters are still there. I believe a true divergent thinker doesn’t ignore the parameters, he bends them to create something that no one thought could be done. Me? 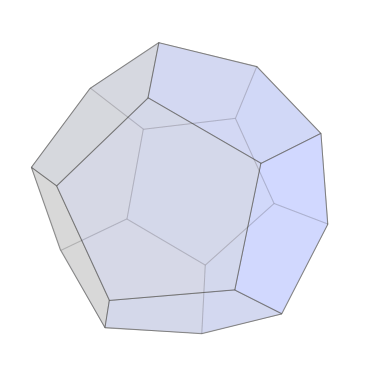 I like to think outside of the dodecahedron. It’s harder to say, but I think it gets the point across. Try thinking outside of this thing.